And it did. 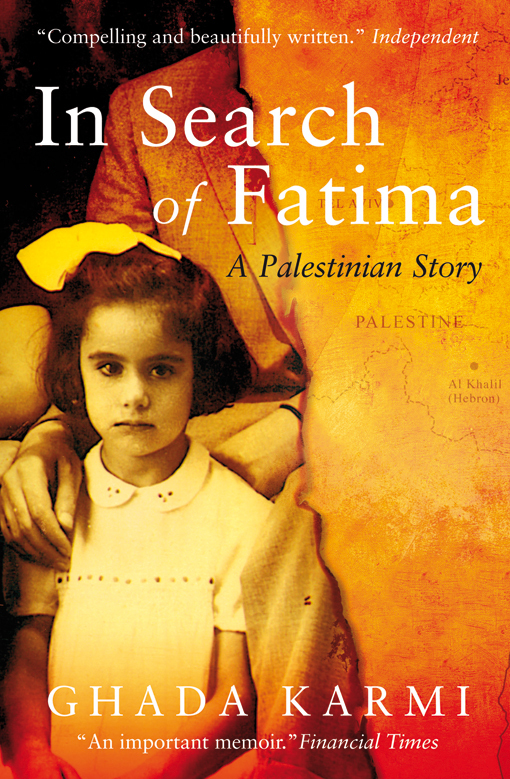 The book tells the story of a Palestinian family who had to leave their country, their town, their house after Jews from all around Europe came and settled in what was in 1948 Palestine and what later became the Israel state. The book brings us closer to all the atrocities, genocides and persecutions that the Palestinian people had to endure during the creation of the Israeli state. In search of Fatima is more than a memoir and is more than showing all the suffering of a family. It’s a book about having to find solutions to save yours and your family’s lives, it’s about moving to new and unknown places, about having to adapt to these new places and about trying to integrate in these new places. Ghada’s family story is the story of many immigrants coming to Europe and trying to make a living in a Western country. All their struggle with a new social system, with the education programs, with how people see them differently, with the fact that there are so many cultural differences that sometimes it’s so difficult to overcome them. And most of all, it’s a book about personal roots, about finding a place you call home, about the feeling of belonging somewhere and leaving behind all the painful past experiences.